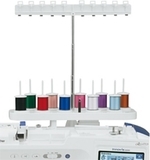 Just connect our thread stands to your machine and enjoy up to 10 spools and make life much easier for thread delivery or even bobbin storage. 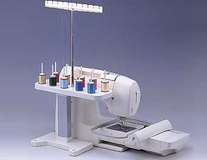 Free-Standing Ten Spool Thread Stand You can set up to 10 spools of thread on this.. 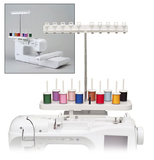 Lets you set two large spool threads such as king style spools during sewing, quilting.. Ten Spool Thread Stand This 10-Spool Thread Stand snaps securely in place on to.. The Brother King Spool Thread Stand. Lets you set two large spool threads such.. 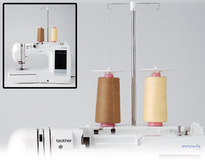 Brother 10 Spool Thread Stand (TS4). This 10-Spool Thread Stand snaps securely..